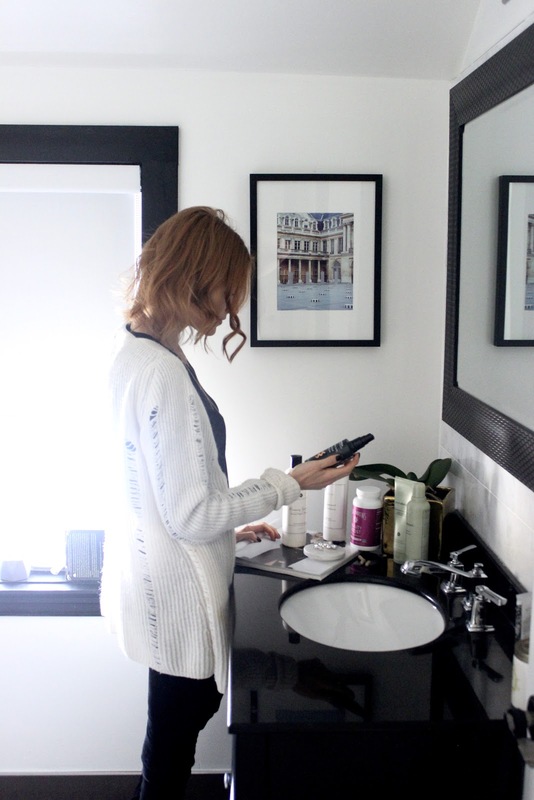 There’s a reason why I don’t share many care hair posts on my blog, especially sponsored posts at that. Companies usually want you to test out the products and within a weeks time detail your findings. Well for me that just isn’t enough time. Sure the first use is always amazing! You’re thinking holy moly this is the greatest shizz on the planet. 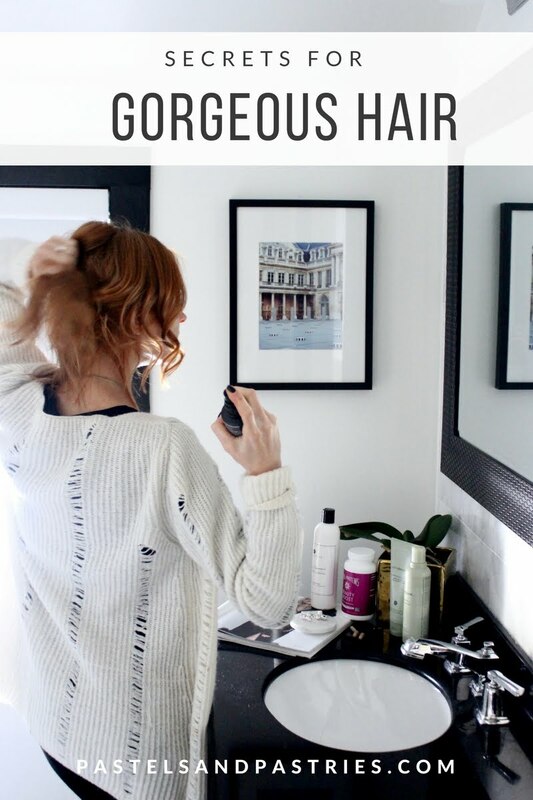 But you never have enough time to actually see the long-term results... is it overall drying to my scalp? Will it cause my psoriasis to flare up? So unless I truly love something, I don't bother. There are however a few products that I do just plain love. They have worked for me time and time again and I am constantly restocking them. 1. LOVEFRESH Natural Organic Shampoo and Conditioner. This has been my go-to for actually 3 years. Yes, I’ve tried other brands but I always come back to it! And I mean always. It’s natural, organic and the rosemary spearmint is so soothing for my psoriasis. How I know it works: Whenever I travel and don’t bring it with me (usually because of sizing issues) my scalp flares up. It gets itchy, irritated and this is the only thing I know to bring it down. I can always rely on the natural ingredients to calm, sooth and refresh my hair. 2. Aveda Pure Abundance Volumizing Shampoo and Conditioner. I’ve been going to an Aveda salon for the past 7 years. I love my stylist (she’s also one of my best friends!) and the products do not disappoint...that Aveda scent is a real thing, people! But it's also no secret that I have fine and flat hair. This shampoo and conditioner work wonders to give life and volume. What I do is alternate washes; one wash I’ll use LOVEFRESH to keep my scalp in check, the next I’ll use this Aveda set to offer up the volume I need. This routine keeps the inflammation down but also gives me the life I need! How I know it works: Just look at this photo from Paris. No idea what junk I was using but my hair is flat, dull and lifeless. Fast forward to coming home. See the difference? 3. Aveda Texture Tonic. if you have fine hair and need volume, life, lift and bounce, this is the one product you need and I mean NEED. It leaves such a touchable hold and texturizes the hair for days, not hours like most salt texturizing sprays. Sometimes I’ll spritz it in wet hair, sometimes I will after I’m done styling. But whenever I do the results are amazing. I skip hairspray altogether and go straight for this baby just because it's so moveable and lively. It will change your life. How I know it works: It works instantly there is no question. Go to a salon and try it out for yourself. 4. Vital Proteins Beauty Boost Capsules. This is not only a hair tip but also a skin and nail tip. I mentioned how I started using Vital Proteins here and I can attest that I have started to see results. These capsules help the body build collagen which is an essential factor for healthy hair, skin, nails, bone and joint health and more. They are organic and are also rich in Vit D, B and biotin. How I know it works. When I forget to take it I can tell. My nails are breaking, my hair is lifeless (enter the Europe test phase). When I started taking it again after my trip my hair was shiny and brilliant and it looked alive. My hairdresser even noticed I was getting new growth. I add a scoop of this one to my morning coffee (I promise there is no taste) or try to take 3 Beauty Boost pills a day. I’m also obsessed with the Vanilla Collagen Peptides. It is amazing in smoothies and makes them so creamy! There we have it. 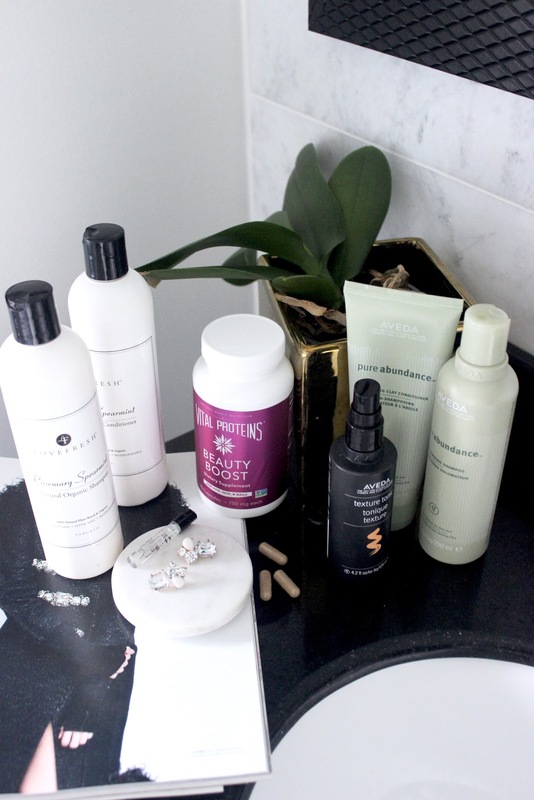 My 100% truthful, unbiased, hair care regime. I’ve been using these guys for a long time with proven results. My last trip really proved that to me as I had none of it with me. What do you use? Will you try any of these? Let me know! Let’s chat hair! Some of these products were given to me as a PR sample with no obligation to review on my blog. All thoughts and opinions are my own! I think this is right to use organic beauty products instead of usual ones. Our skin ans complexion will say thank you for this change. 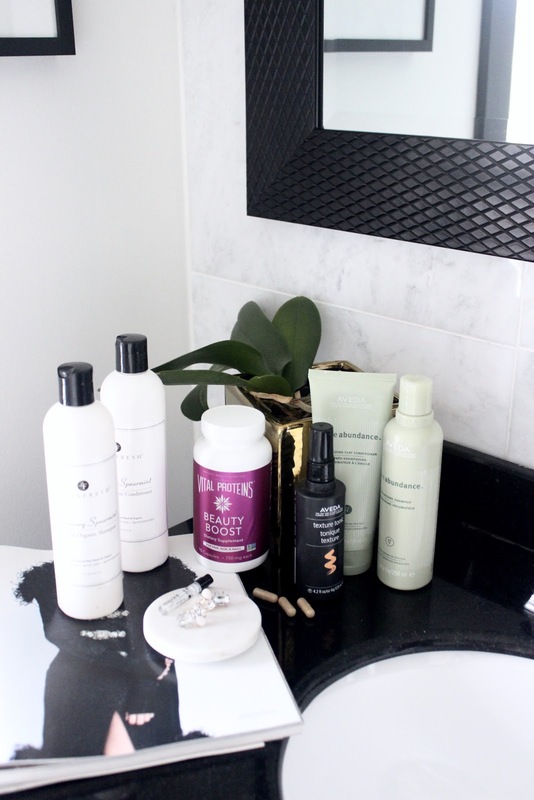 According to Paper masters review you can always find a healthy alternative for everything in your bathroom and make up table.